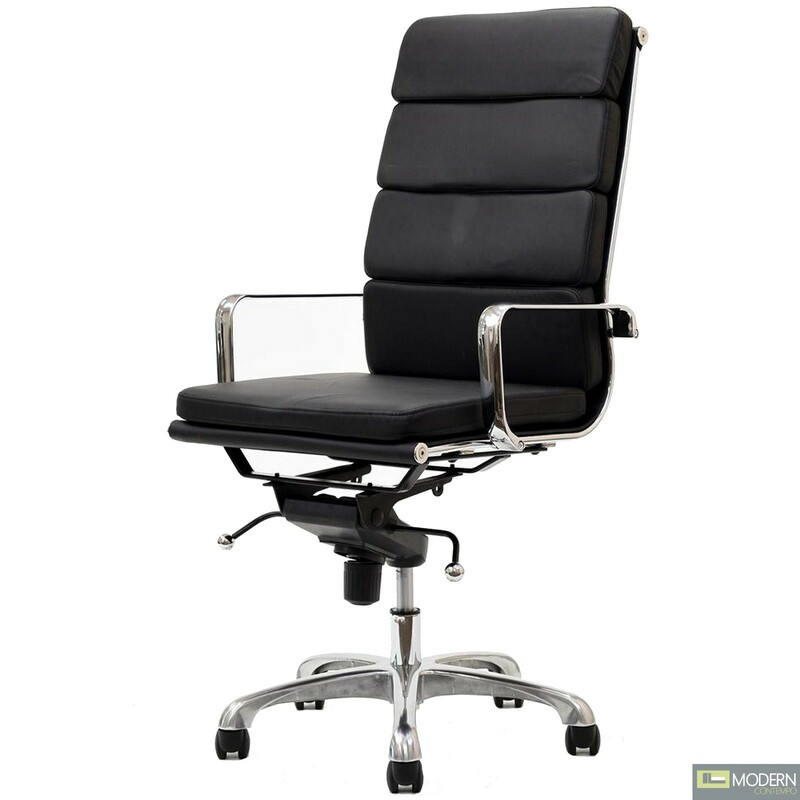 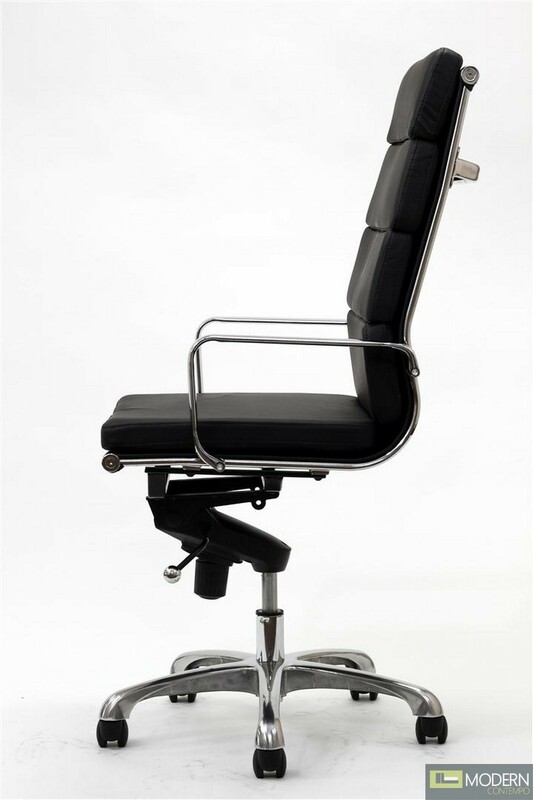 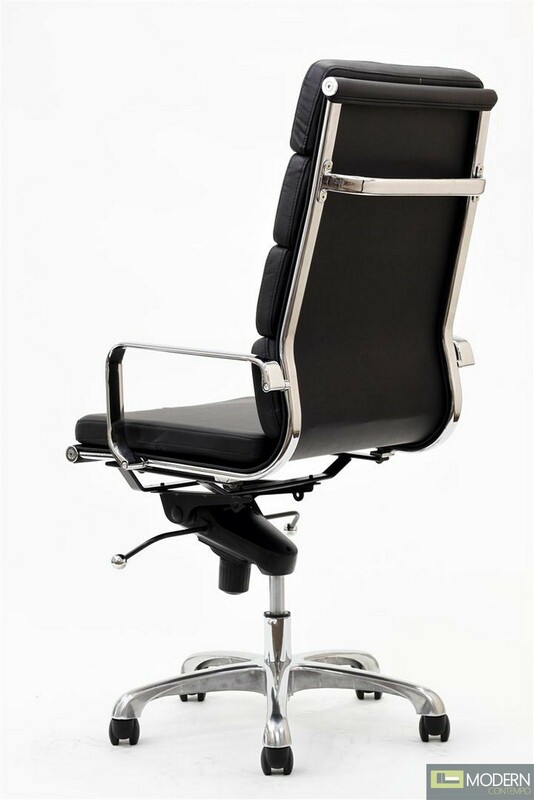 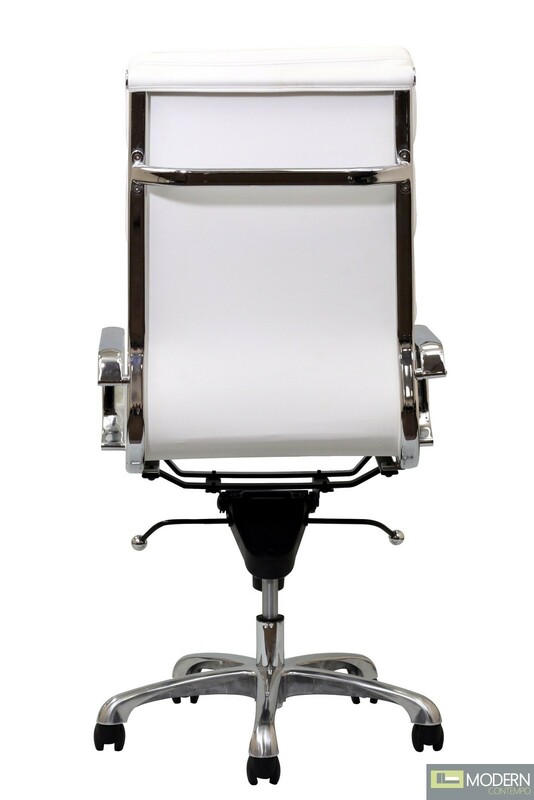 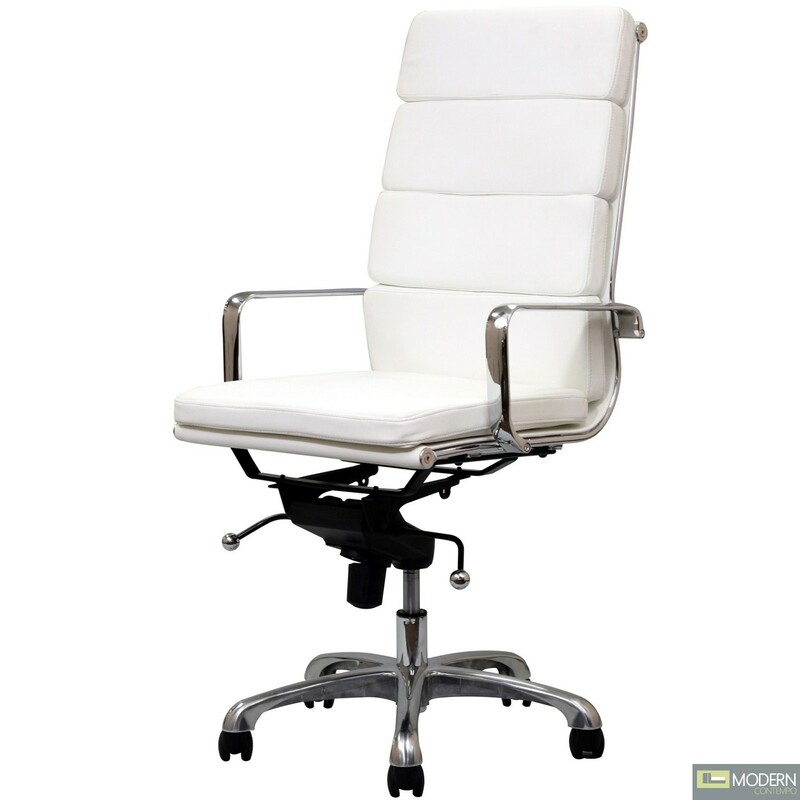 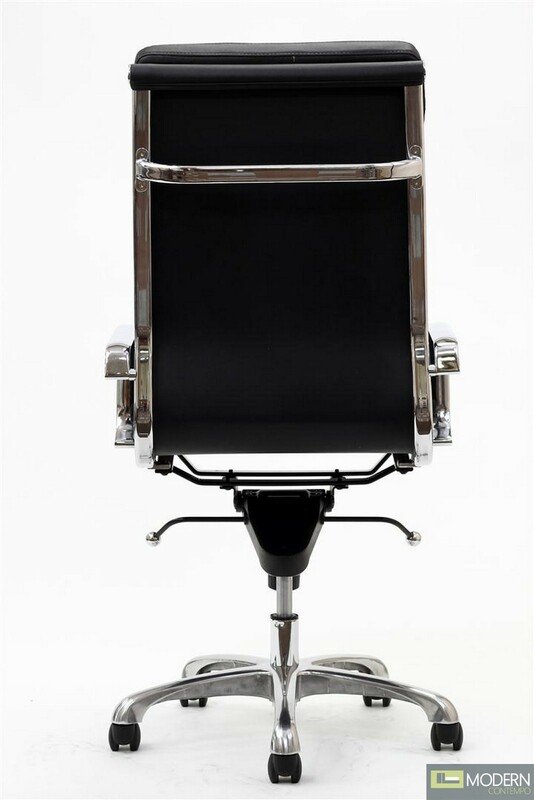 The Domino High-Back Office Chair features a polished chrome frame, with a padded domino-shaped vinyl seat and back. 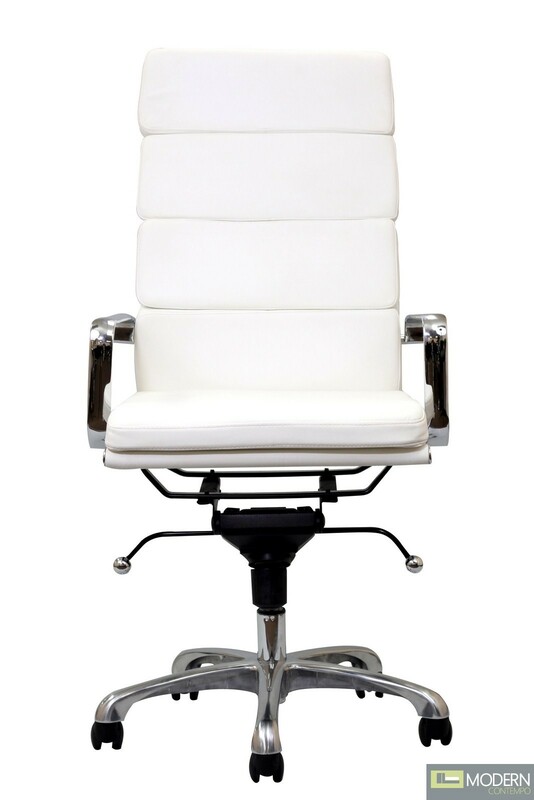 The 5 star base has a height adjustment and can tilt and swivel 360 degrees. 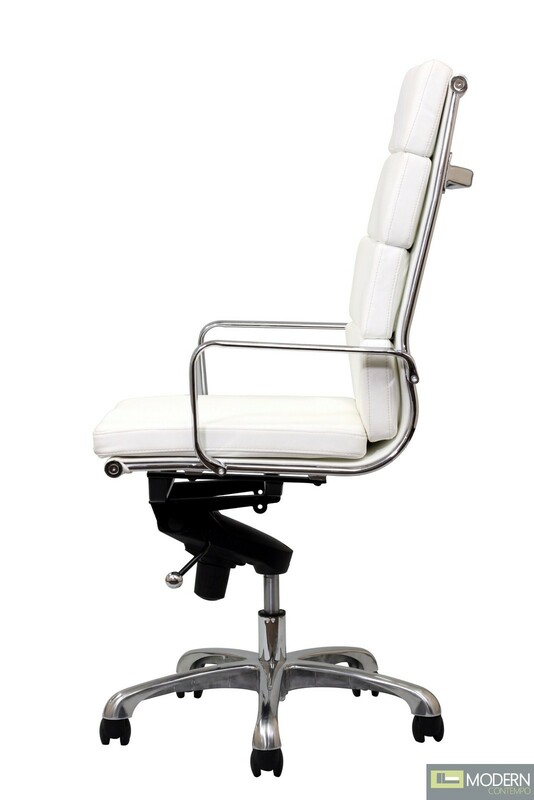 There is a tilt tension adjuster below the front of the seat.